Without SEO, maybe you cannot create a good profit from your website. And doing SEO with raw hands or manually is a tough task. Or you can not alone analyze your SEO or website. So, you need some best SEO software that will help you to increase your SEO performances. There are lots of SEO tools over the internet. You have to find out the best ones that are mostly used by the SEO experts. 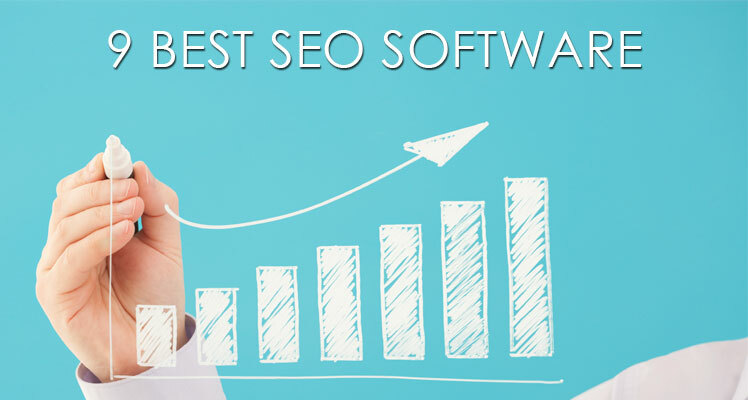 Today, I basically show you 9 best SEO software that will fulfill your ultimate goal. To get a higher rank, you have to look over every step of your SEO works, like keyword research, competitor analysis, finding backlink resources, auditing the website, and all other tasks related to SEO optimization. Again, you need to put importance similarly to the off-page and on-page optimization. All these works need a smooth handling. To manage these tasks easily, you should use the best SEO software. Moz owns a few of outstanding SEO software, resources and tools. Many leading internet marketers and bloggers are using Moz’s software to optimize their search engine ranking. By using Moz’s software, you can improve your social media marketing, content marketing, traffic volume, website analysis and all other SEO functions they provide. But, all the Moz’s SEO tools are premium; of course you can use its trial version first. 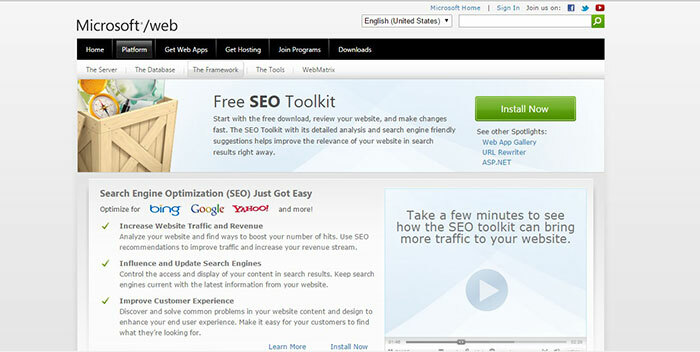 Microsoft also maintains SEO software that you can try for free cost. This SEO toolkit mainly suggests you about your search engine optimization after analyzing your whole website. Just download and install it on your device. Then try a review of your website and repair your SEO trends as soon as possible. Link Searching is one of the best SEO software in the world. It is mainly a backlink building tool. This toolkit helps you to find out the websites where you can drop your backlinks. It takes out the websites based on the footprint technologies. It maintains hundreds of footprints to pull out the relevant sites. You can get a higher page rank, .edu, .Gov and all types of websites for creating links. It basically shows you the site as you want. Traffic Travis is free SEO software and it is one of the best SEO management tools. It is also a good one for PPC marketing. It is similarly usable for both on-page and off-page SEO optimization. Analyze your competitor SEO strategies and prepare a plan for yourself. Rank Ranger is an internet marketing tools and SEO software stuff. It will help you to manage your SEO data. It shows you the keyword ranking, traffic volume, keyword research and other important SEO components on a daily basis. It is an easier, faster and smarter SEO toolkit that you can apply for all SEO works. This SEO software mainly focuses the activities related to social media marketing. Besides, it also looks over the competitor analysis, search engine optimization techniques, gives you backlink building opportunities, and helps for keyword research as well as on-page, off-page optimization. SEO PowerSuite is an all-in-one SEO tools and software. It helps you to keyword research, competitor analysis, builds backlinks, website review, finds SEO errors, and manages on-page & off-page optimization, and all other SEO works. Actually, it helps you to get a higher rank on search engines. SEMRush is one the best and biggest service provider for SEO. Many online professionals use SEMRush SEO stuff. It suggests you to improve your all SEO properties that ultimately lead you to higher rank. It gives you guidelines for social networking, internet marketing, content marketing, and digital marketing. WebCEO is SEO software based on cloud solution. It provides services for the in-house marketers, digital marketers, and website owners. It mainly focuses on the white hat SEO optimization. This SEO software has especial functionalities for SMM and SEO improvement. Hi guys, if you like the above best SEO software, you can share them with others. Or if you have used another new toolkit, you can also mention it in the comment section. It will help others. I tell you, you should use the best SEO software if you want to go beyond the success.